HLYM commenced in 1978, with the signing of the franchise agreement between HLI and Yamaha Motor Co., Ltd. of Japan to venture into the manufacture, assembly and marketing of Yamaha motorcycles in Malaysia. The first Yamaha motorcycle, the RX100 model, a street bike with a 100cc engine capacity, rolled out from HLYM's assembly plant in December 1979. HLYM has since then expanded its line-up to 8 models, ranging from 115 cc mopeds, automatics, street-bikes to 600 cc middle sports model, and over the years has established itself as a significant domestic player with a 33% market share in 2012. Among the many milestones, HLYM achieved its "One-Millionth Bike Roll-Out" 15 years later in January 1994 and celebrated its "Three-millionth Bike Roll-Out" in October 2012. In the area of product quality, HLYM holds triple certification of ISO 9002 (Quality Management System) from SIRIM, TPM Excellence Award from JIPM and ISO 14001 (Environment Management System) from SGS Malaysia/ SGS UK. HLYM operates from its factory located in Sungai Buloh, Selangor, Malaysia and currently distributes its motorcycles through a well-established nationwide network of dealers, including exclusive dealers of HLYM products. Guocera, the holding company for the tiles business of the Hong Leong Group, is a wholly owned subsidiary of HLI. It manufactures and distributes a full range of ceramic and porcelain tiles. In 1993, Guocera started promoting and marketing its tiles under the common brand name "Ceramiche Guocera". Guocera, through its two manufacturing facilities located in Kluang, Johor and Meru, Selangor is Malaysia's largest ceramic manufacturer and exporter. It exports its tiles worldwide to customers in North America, Europe, Middle East and Asia Pacific, and through its export presence over the past 40 years, Guocera is a globally recognised brand in the industry. Guocera has been transforming the living and work spaces of its customers over the years with innovative products and inspiring designs. Inspired by quality Italian craftsmanship and its artisan ethos, Guocera is a recognised household brand in Malaysia. Its passion for innovation is reflected in its very own ISO-IEC 17025:2005 accredited R&D centre, the only one of its kind in South East Asia. All of Guocera's products meet EN, ANSI, JIS, CCC and ISO quality standards and specifications. HYM commenced operations in 2017 and is principally engaged in distribution, trading and provision of services in Yamaha brand outboard motors and its spare parts in Peninsular Malaysia. The headquarters of HYM is located in Sungai Buloh, Selangor, and other three branches are in Penang, Johor and Terengganu respectively. More than 40 dealers have also been appointed to provide comprehensive products and service to end customers, mostly fishermen, scattered along coastal area. HYM currently carries both 2-stroke and 4-stroke outboard motors ranging from 2HP to 250HP, full range of spare parts and lubricants, and also well trained service technicians running 3 mobile service fleets. 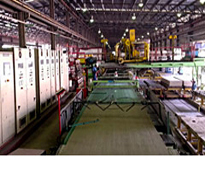 HCI was first incorporated as Cemboard (M) Sdn Bhd and started commercial production in 1982. HCI manufactures and distributes the PRIMABOARDTM family of products, comprising cellulose fibre cement boards in various dimensions that provide internal lining and external architectural cladding solutions for buildings and their surrounds. Fibre cement board products are made from high grade cellulose fibre, quality cement, sand and water and it can be used in myriad applications in the residential, industrial and commercial markets. The fibre cement board products are manufactured at its Petaling Jaya and Ipoh plants. locally and internationally. Its export markets include Australia, Taiwan, South Korea, Middle East, Vietnam and the Philippines. HCI is a MS ISO 9001:2008 accredited manufacturer and it has obtained 'green' certifications such as MS ISO 14001:2004, Green Labels from Singapore, Australia, China, and Taiwan as well as Eco-Label from Malaysia and Korea. Founded in 2002, HRP is a wholly owned subsidiary of HLI and its factories are located at Bandar Tenggara, Johor and Kanthan, Perak. 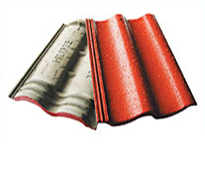 HRP manufactures and markets premium concrete roofing tiles. The concrete roofing tiles produced by HRP are designed with bold, aesthetically pleasing profiles and a wide range of attractive and vibrant colours. These are complemented with a range of roofing accessories. HRP's products meet SIRIM MS 797:Pt.1:1982 standards. HLI is involved in the trading and distribution of building materials through its wholly owned subsidiaries, HMKT. Established in 1963, HMKT is one of the major Building Material Products trading and distribution companies in Malaysia. Its products include cement, ceramic tiles, steel bars, pipes, wire rods and mesh, sanitary wares and fittings, fibre cement products and roofing materials. HMKT sells its products through an extensive network of dealers, contractors and developers. HMKT operates principally in Peninsular Malaysia. Its Head Office is located in Petaling Jaya, Selangor and its branches strategically located in Northern region, Klang Valley, East Coast region and Southern region.